Charlotte Bohnett is the director of demand generation at WebPT, where she owns demand generation strategy and oversees digital marketing, content marketing, SEM, PR, and communications. In this role, Charlotte has seen her team through several honors, including MarketingSherpa’s 2013 Email Award in the Lead-Gen Category and a finalist spot in the Content Marketing Institute’s 2016 award for best multi-year campaign. Charlotte has nearly a decade of experience in marketing and sales with specialized knowledge in inbound and demand gen strategies, B2B SaaS, healthcare IT, long-form content creation and optimization, crises communication, and branding. 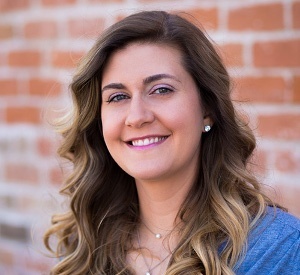 In addition to WebPT, Charlotte has worked with Pure Chat, Gainsight, Traklight, Infusionsoft, and Price Intelligently. She holds a master’s in technical and professional communication from Lawrence Technological University and a bachelor’s in creative writing from Bowling Green State University.